The April 2018 issue of Boston Magazine features the Top 50 Women Lawyers from the Massachusetts Super Lawyers list. Piece Davis & Perritano attorneys, Judith A. Perritano and Meghan L. Riordan, were both featured on the list. Judy is the Managing Partner at PDP. 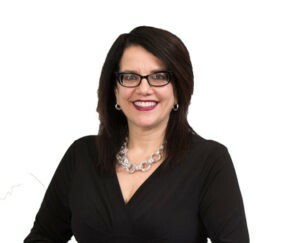 She is a highly skilled litigator with nearly 30 years of extensive experience in the defense and trial of a wide variety of cases ranging from complex, high risk cases involving products liability and exposure to asbestos and other toxic torts to those involving general negligence and dram shop liability. Judy is involved in all phases of litigation in both state and federal court, from factual investigation through discovery, motion practice, trials and appeals. Additionally, as national coordinating counsel for a product manufacturer in the asbestos litigation, Judy manages and directs discovery, expert development and trial preparation nationwide. Judy is frequently invited to speak on topics related to product liability and toxic torts. Judy has been named to the Massachusetts Super Lawyers list annually since 2009. Judy was also named to the 2017 Top 50 Women Massachusetts Super Lawyers, Top 50 Women New England Super Lawyers and Top 100 Massachusetts Super Lawyers lists. Meghan is a Partner at PDP. She is highly experienced in a variety of civil litigation areas, including product liability, premises liability, general liability. She has defended numerous corporations in occupational exposure cases, including a substantial number of asbestos lawsuits, throughout her legal career. 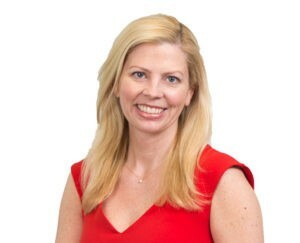 Meghan has participated in all phases of the defense of these matters, from initial discovery through dispositive motions, expert discovery, settlement negotiations, and trial. Meghan regularly litigates cases in both state and federal courts in Massachusetts and has been consistently successful in obtaining favorable outcomes for her clients. She represents a broad range of manufacturers and suppliers of various types of products and equipment, including those involved in the construction trade, HVAC, automotive industry, aviation industry, marine applications, and various manufacturing facilities. Meghan has been named to the Massachusetts Super Lawyers list since 2014 and was also named to the 2017 Top 50 Women Massachusetts Super Lawyers list. Ten of the firm’s attorneys were selected to the 2017 Massachusetts Super Lawyers and Rising Stars list. Super Lawyers, a Thomson Reuters business, is a rating service of outstanding lawyers from more than 70 practice areas who have attained a high degree of peer recognition and professional achievement.